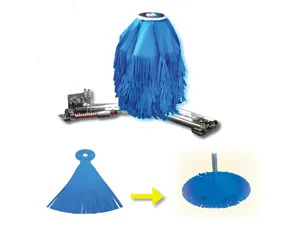 iWash Technology’s Flat Panel Brush design gives the operator more flexibility to customize their wash process. Benefits of the patent pending product include: no core used; easy cloth replacement; precise cleaning; light weight, gentle contact on vehicle; floor mount or post mount; and less stress on shocks, motors, and bearings. Visit booth #3030 in Nashville.